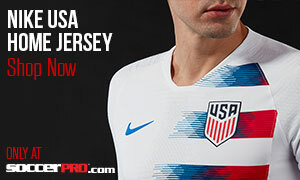 Now that we’ve beaten to death all of the angles of the USMNT‘s World Cup campaign, let’s talk about club football (because it’s played with feet, you see. A side note: a person told me recently that anyone who says ‘football’ or ‘pitch’ or ‘nil’ is just a pretentious hipster putting on airs. So…I guess that’s me). 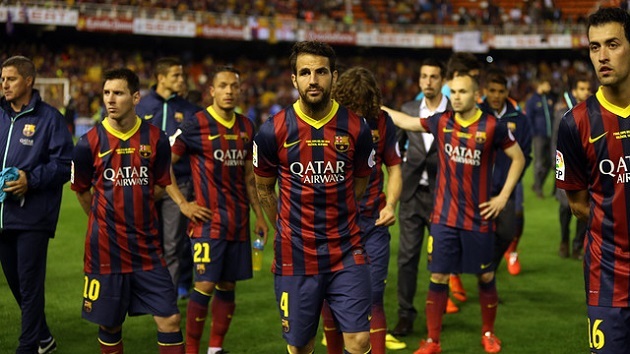 One of the bigger stories this summer is Barcelona, and its squad shakeup. The team is being rebuilt and retooled to fit the desires of Luis Enrique, the former Barça player and Barça B coach. Let’s talk about him first. Enrique has been compared to Pep Guardiola, which is an easy enough comparison. Pep is a Barça first team alum who coached Barça B before moving up to the first team. Such is the path of Enrique. AS Roma clearly saw a budding Pep-like protege and snapped up Enrique, only to leave the club after his first year. Whether he moved on before the axe swung, or if it was a mutual thing, or he didn’t like how the club was run is muddied. From there, he took over for Spanish club Celta Vigo, who were tipped to slip into the lower ranks of La Liga; they had placed 17th in 2012-13. But Enrique, with the help of Barça B loan player Rafinha (brother to Bayern’s Thiago), led Celta to a ninth place finish, their best in nearly ten years. Now la blaugrana have brought back Luis to rebuild the squad. Sure, the process is probably two years too late. The board is as stupid and incapable as any major team’s. Run completely by businessmen, it’s been more interested in turning a profit than building on the best club team in history. They forced out Pep and Eric Abidal, a man who transcends football in every sense of the word. Recently, when club president Rosell resigned amidst legal concerns from businesses in Brazil (which are sketchy as hell) and accusations about the Neymar deal, he appointed Bartomeu. He effectively elected a new president, without the consent of the club members and without setting up an immediate revote. That’s likely because he knew his board would be nixed. And it’s absurd. Bartomeu, for his part, has given the green light for big spending. It’s very frustrating as a fan because it took this long, until the team is so very thin, until Puyol was ground to nothing, Xavi used and abused, Messi worked until he can’t run anymore. The first midfielders off of the bench were the infuriatingly moody Cesc Fabregas, the unbelievably underwhelming Alex Song and the out-of-his-league Sergi Roberto. So now money must be spent. This team is wasting away. I’m getting furious writing about the board, so let’s move on. IN: Deulofeu (promoted from Barça B, returning from Everton loan); Rafinha (promoted from Barça B, returning from Celta loan); Masip (promoted from Barça B); Marc-Andre ter Stegen (joined from Borrusia Monchengladbach); Ivan Rakitic (joined from Sevilla); Luis Suarez (joined from Liverpool); Claudio Bravo (joined from Real Sociedad); Bojan Krkic (returning from Ajax loan). A good crop, truth be told. Barcelona still need a minimum two center backs. With the sale of Alex Song (should it ever happen), Mascherano can be moved back to defensive midfielder. His performance at the World Cup shows how strong he can be there. But Rakitic will replace Fabregas well, and is more flexible and seems to have a better attitude. Rafinha will likely player center mid or in a Messi-type role, but even so, it may be smart to get another CM. Rafinha and Deulofeu represent the next wave of great Barcelona players. They both had immense loan seasons, and will compete for regular minutes. Expect to even see young Adama Traore get some minutes. He is also a world-class prospect. 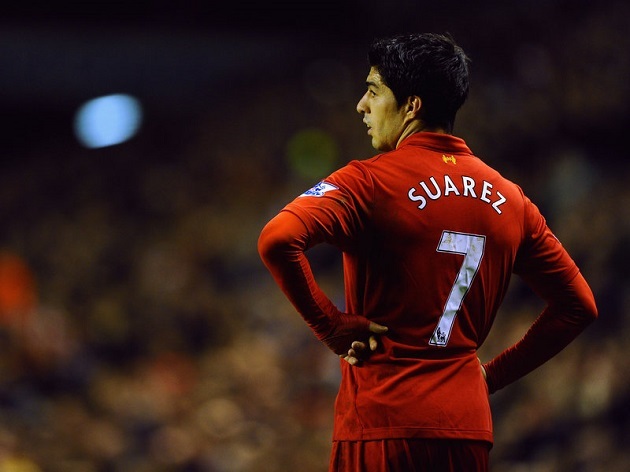 Luis Suarez… I’m torn, as I seriously dislike him as a person. But he’s a top three striker in the world. We’ll talk about tactics in a minute, but I believe he’ll help Messi and Neymar exponentially. Barça must be strict with his behavior. A whiff of racism, any sort of violence, and he needs to be gone. Good goalkeeper work, here. Masip is an excellent player, probably too good to be third-string. All three (Masip, Bravo, ter Stegen) will compete for the starting spot. Bravo is excellent with his feet but average with his hands. Ter Stegen is an excellent young keeper, and it’s smart to have an experienced one in the wings (like United did with de Gea). Happy with this. OUT: Jonathan dos Santos (joined Villareal); Alexis Sanchez (joined Arsenal); Victor Valdes (clubless); Puyol (retired); Isaac Cuenca (Deportivo); Pinto (retired); Oier Olazabal (joined Granada); Cesc Fabregas (joined Chelsea); Cristian Tello (loan to Porto); Denis Suarez (two-year loan to Sevilla); a host of youth players. Some much needed house-cleaning here. JDS and Cuenca needed to leave a while ago, truth be told. Cuenca’s possible Barça career was shot to pieces with the rise of Sanchez and Tello, along with a destructive (physically and mentally) knee injury. Unfortunate. Tello lost minutes last season and will only lose more, but has the potential to be as good as, if not better, than Pedro. I feel very sad about Alexis. He is an excellent player, one of the best in the world. But he was shackled at Barça because Iniesta and Messi were the creators, and he had to play out wide. He isn’t a pure 9. He’s a 10, but Barça have two 10s, one of which is the best in the world. Alexis needs a free role, as he had and thrived with at Chile. He’s a top professional, a great player. Everyone who works with him has only good things to say. I dislike Arsenal, but I sincerely wish all the best for the man. As for Cesc… Truth be told, I’m happy. The man complained constantly about playing time, about coaches, about fans. Fans are fickle. They love and hate at high speed. Even Messi is criticized. Someone who claims to have Barça in his heart and soul would not leave after three years because of some harsh words from fans. I think it’s pathetic. He rarely turned up for big games, seemed disinterested at times and rarely finished the season (sometimes from January on) strong. Good bye. Poor Ibi. Truth to be told, he was never really capable of breaking in. He was a solid squad player for a team, but the promotion of Cuenca and Tello, and the purchase of Sanchez, signaled the end. He did start for the Netherlands in Euro 2012, which was impressive. He seems to be a great guy with an excellent attitude, but he can’t crack this team. Alex Song was a terrible purchase. He is so far beneath Busquets and Mascherano he can barely see their boots. Word is that nobody even wants him, and his antics in the World Cup certainly don’t help. He needs to be offloaded. Poor Bojan (did I already say that about somebody else? I’m sleep-deprived). At one point, he started over Ibrahimovic. 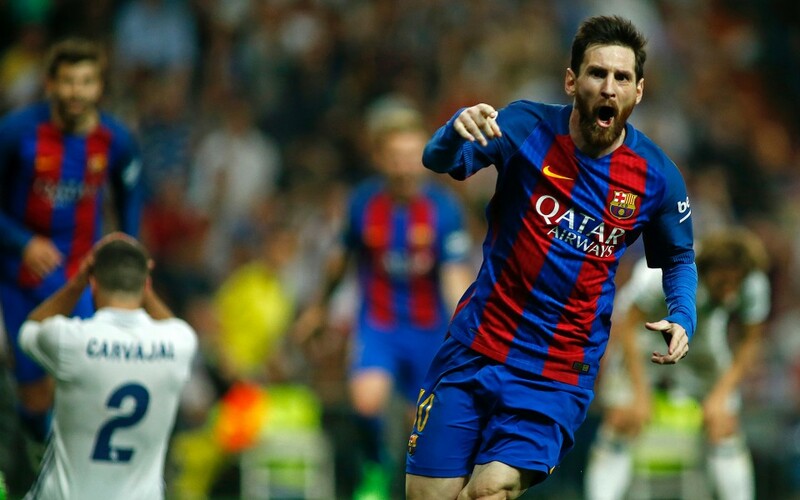 He broke Messi’s record for youngest Barca player to play in La Liga. He also broke Messi’s youngest La Liga scorer record. But his development stunted, likely because he was brought up too quickly. I was always a supporter, and I felt fans took shots at him too easily. But he won’t start or likely play again. Ah, Xavi. I’m torn here. In a way, I don’t blame him. Because of the club’s pressure to break Mourinho’s 100-point La Liga record in 2012-2013, Tito Vilanova (RIP. What an immensely inspiring human being) and Jordi Roura played him and destroyed his achilles tendons. The club won’t buy players, and he is too old and too tired to play 90 minutes every game. He’s shot because of the club. But at the same time, it looks like he’s chasing money and a retirement home. Regardless, the man is an FCB legend, and if he wants to leave, he deserves it more than anyone. TARGETS: Juan Cadrado (Fiorentina); Jeremy Mathieu (Valencia); Marquinhos (PSG). 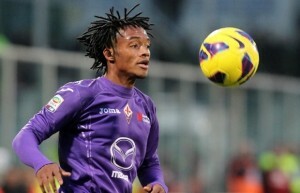 Cuadrado seems unlikely, as the word is that Fiorentina want more than 40 million euros. That’s an absurd figure. Barça would also convert him to an outside back to replace Alves, but 40 million is far, far too much. 20 million would be a better number. Mathieu, if the media can be believed, seems almost finished. He’s an older player, and costs too much (20 million). But Barça needs a center back, and an experienced one. There are worse choices, although it must be wondered how Barça failed to scout him before this year despite his being in their backyard. Marquinhos… Like Thiago Silva before him, Barça failed to snap up the young Brazilian when given the chance and now will have to pay out the nose for him. The rumor is that Marquinhos wants out, but Alex’s recent exit will make it difficult. But another rumor suggested that, should PSG sign Di Maria, they’d have to sell someone to get under FIFA’s Financial Fair Play rules. Who knows, but if I were sporting director Zubizarreta, I would start looking elsewhere for promising young CBs. Finally, let’s consider Suarez. There are many (like Johan Cruyff) who believe that Neymar, Messi and Suarez cannot possibly play together. But I disagree, although I don’t know 1% of what Johan knows about this sport. With Suarez up top, he’ll command attention from defenders. He’ll score, fight (but not bite…hopefully), draw defenders around and away. Messi will likely be deployed slightly beneath him (like Argentina in this World Cup), allowing him freedom and more space to work and create. 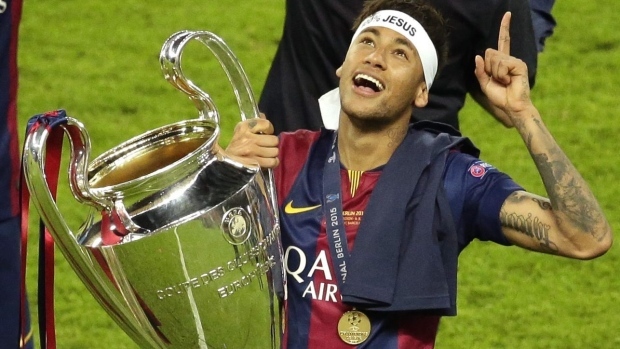 Neymar will likely play alongside Suarez, if a little deeper. It’ll also give him more space, as defenders draw back into the middle to deal with Suarez and Messi. I think, ultimately, Suarez will help Messi and Neymar. A lot. But only time will tell. It’s going to be a ridiculous season in Catalonia. Lets nt judge d combination of thoes 3americans time wil tell.